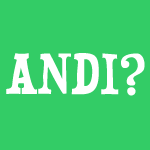 What Is An ANDI Score? When trying to eat a nutrient-rich diet, “superfoods” are important to include because they pack the a powerful, healthy punch. Eat Right America has created a patent-pending food ranking system that involves giving foods an “Aggregate Nutrient Density Index,” (ANDI) to provide insights (and recommendations) regarding foods which are most beneficial. At the top of the list? Those leafy greens that you always hear so much about: kale, collard greens, and bok choy. It is important to note, however, that it is these foods in combination with the many of the other healthy foods with lower scores that will provide the optimal nutrition. 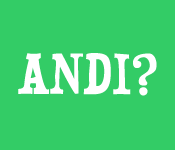 Whole Foods has adopted the ANDI system and if you shop there, you’ll see a small sign with the ANDI scores next to the many of the foods on the chart. Do you already integrate many of these foods into your meals? If so, share a link to your favorite recipe below.